A FULL SERVICE MARKETING AGENCY SPECIALISING IN RESULTS DRIVEN, CREATIVE SOLUTIONS. 100AND10% was launched to offer something different to the sports, fitness and leisure industries. And while our breadth of clients has expanded to include a number of training providers and commercial businesses across a range of sectors, our aims remain constant. We are built on a culture of over delivery, exceeding client expectations and ensuring 100AND10% is the absolute minimum in terms of our commitment to our clients and their projects. We combine a full service model of delivery with an innovative approach to finding solutions, supported by high quality and effective creative and an industrious work ethic. Founded in 2007, our reputation for delivering results alongside a thoughtful, considered, consultative and creative approach to our work is what enables us to support some great clients and work on projects we are proud to showcase. Here’s a sneak peak of our latest large scale signage project at Premier Gym in Leicestershire. 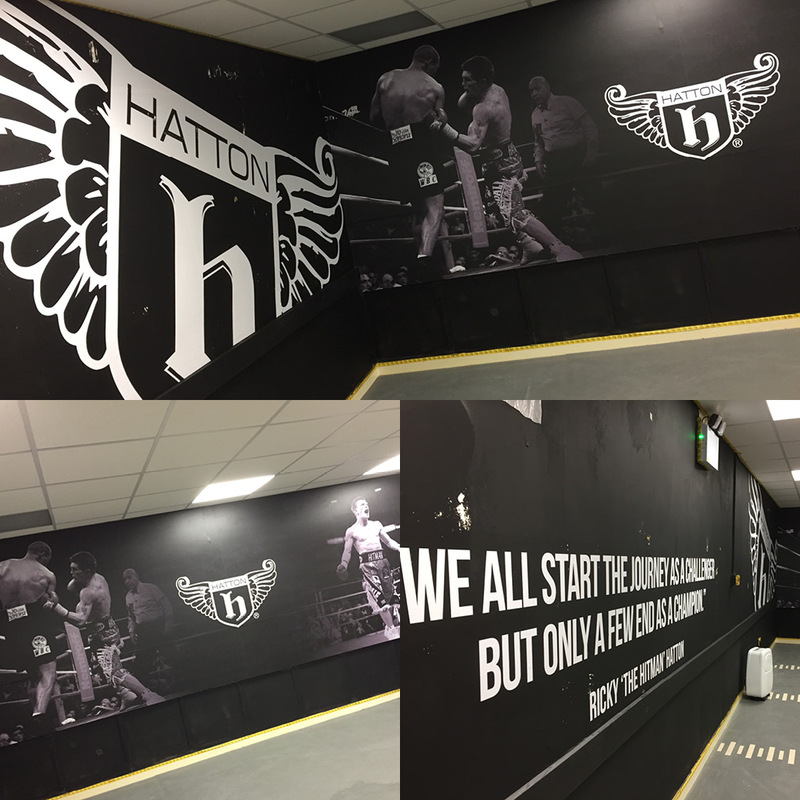 The graphics, designed by 100AND10%, feature in the Hatton Boxing studio in the recently opened facility.